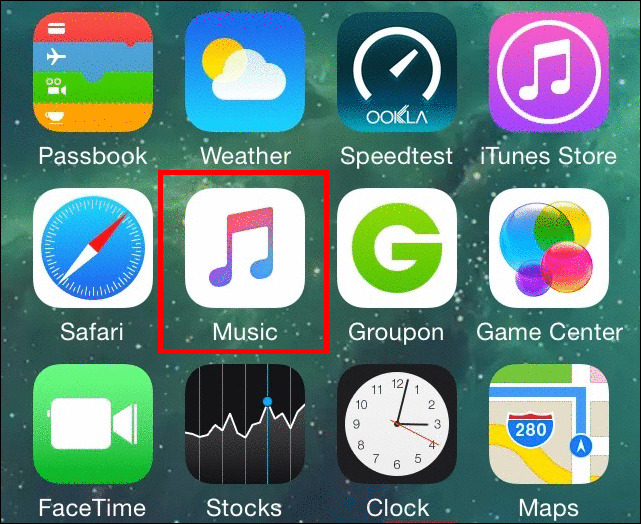 If you woke up today to find a new icon planted on the home screen of your iPhone, you might be wondering, what’s this new Apple Music app about, and what can I really do with it? 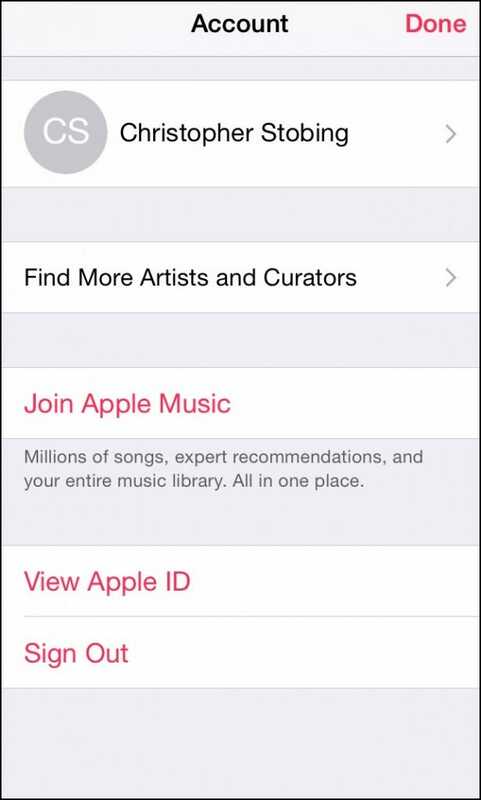 If there’s one brownie point we can award to Apple Music straight off the line, it’s that unlike Spotify (the only other real music streaming competition in its sights), you won’t have to trawl the App Store to get the client installed. 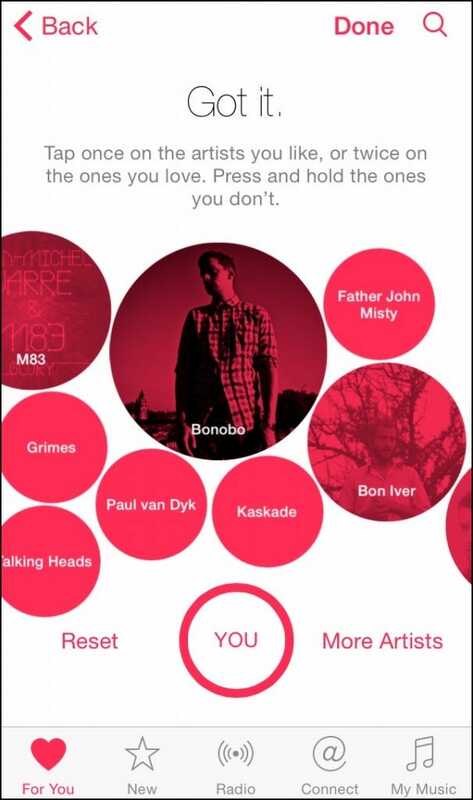 After the update is complete, you’ll be launched into the Apple Music splash screen. 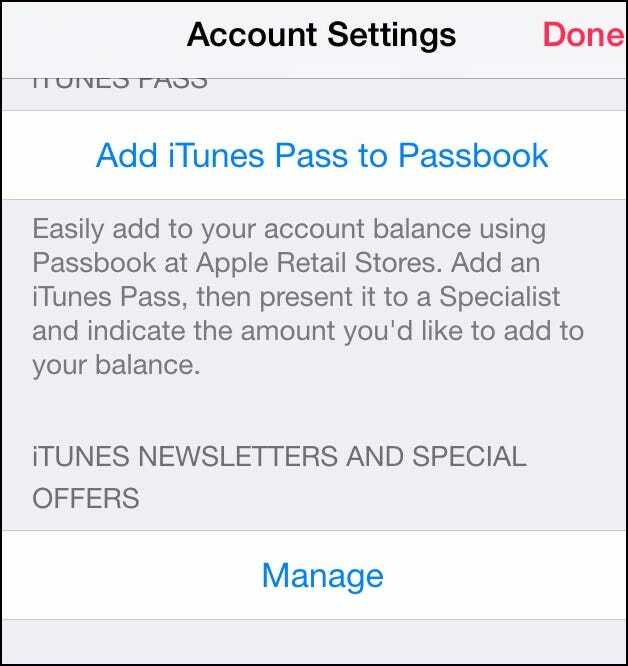 The account tied to your phone will act as the default you’ll use to register with the service, and all purchases (including your subscription), will be charged to the card you use in the iTunes App Store. 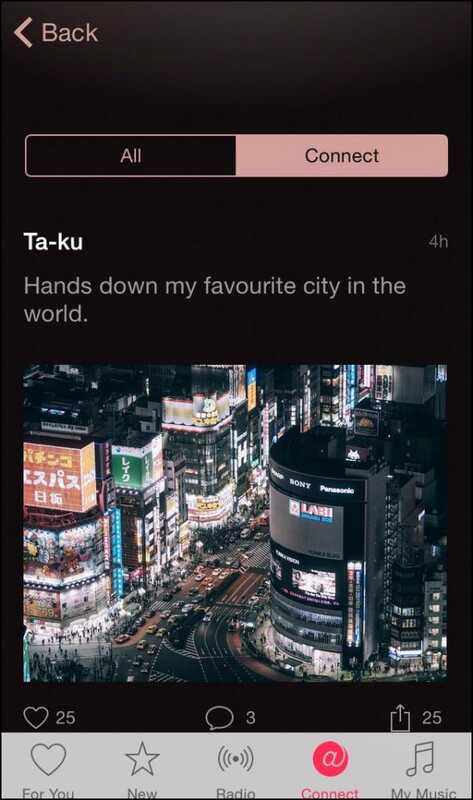 Once the account is cleared you’ll be taken to a screen that asks you which genres you’re interested in the most. 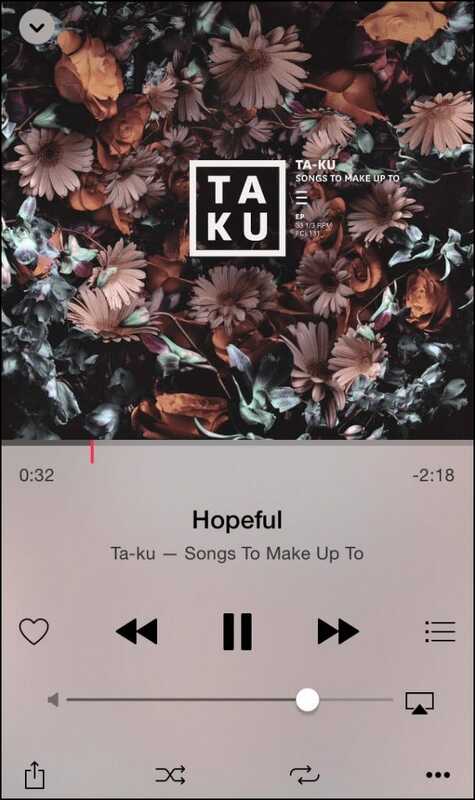 With the genre chosen, a cloud of various artists will pour in. 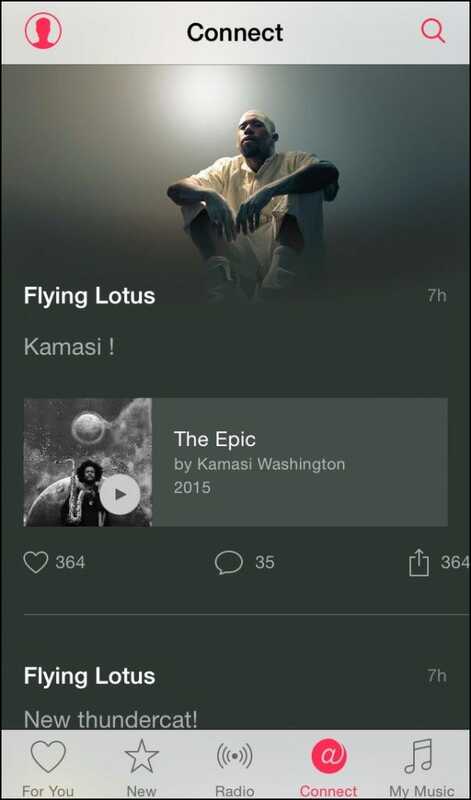 If you don’t see anything that pops out at you on the first page, you can tap the button in the bottom right to spawn more artist bubbles in the cloud. Once you find an artist you like, you can tap it once for “like”, or twice for “love”, after which the artist will blow up its size accordingly. If you see any that you could do without, just hold down your finger on their name for three seconds, after which they’ll be deleted from the list. 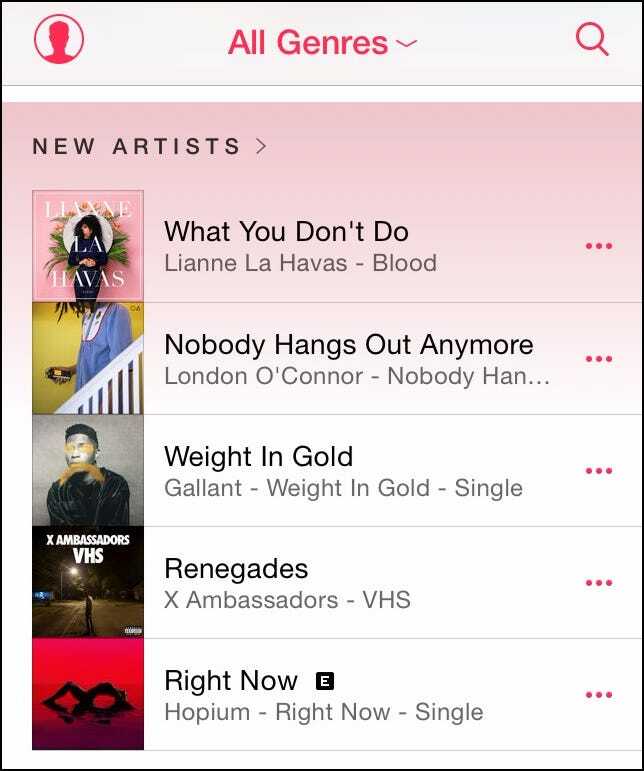 Keep in mind that this is how Apple Music will start off by learning your preferences for everything – from what to play on the radio to what artists and albums are recommended during new release Tuesdays – so be as specific as you can to have the best possible chance of scoring a match in your general listening profile. In case your suggestions don’t seem to fit later on, you can always go back in and reset the artist cloud by finding the option in your settings menu. 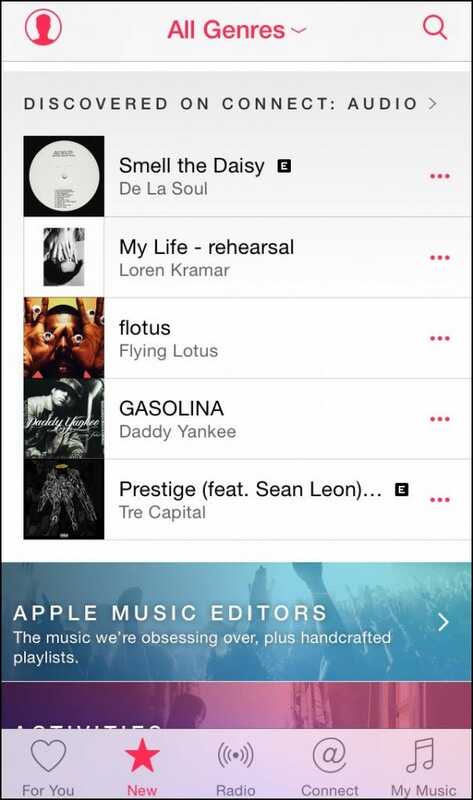 On its face, Apple Music doesn’t stray too far from the aesthetic that the company first established with the design overhaul in iOS 8. Clean, matte lines are accented by Apple’s trademark white glow, and just like the lock screen, the text of whichever album you’re viewing will take on the colors of the cover art for that extra little dose of immersion. As you might expect, all the buttons you need are here, and none feel out of place from where they ended up. 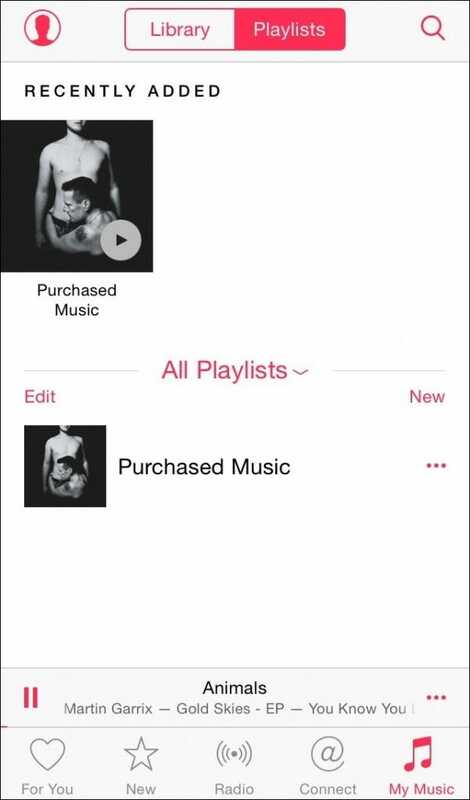 Skip tracks using the arrows, check a playlist using the “chart” button, and share with the same icon you’d use to upload a photo from your camera roll. 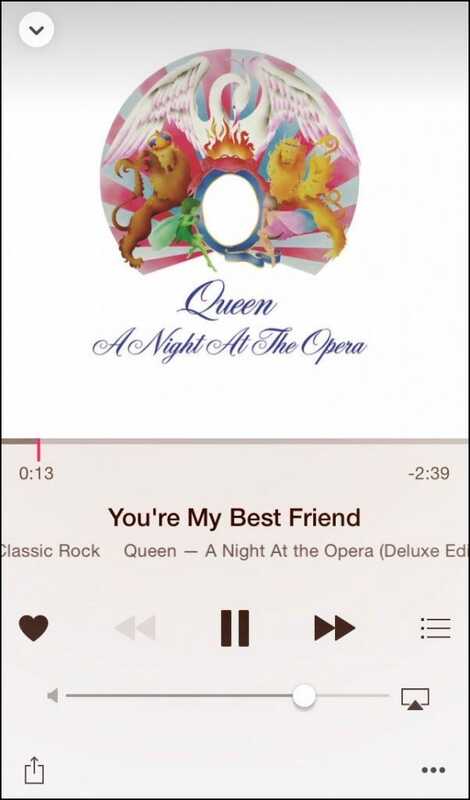 In the My Music tab, you’ll see all the songs you’ve saved from radio using the hearted “favorite” icon, along with any music that’s already been stored locally on the device. 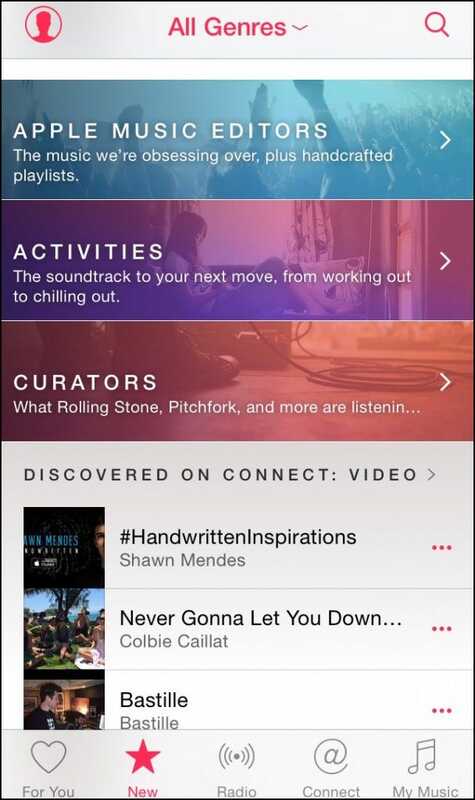 Connect is Apple’s answer to Spotify’s “Follow” feature, which gives users the opportunity to not only see when their favorite artists have released new music or tour dates, but also get an inside look at what they’re listening to on their own accounts. If we had to give it to either side, for now the advantage would sneak slightly over to Apple Music. 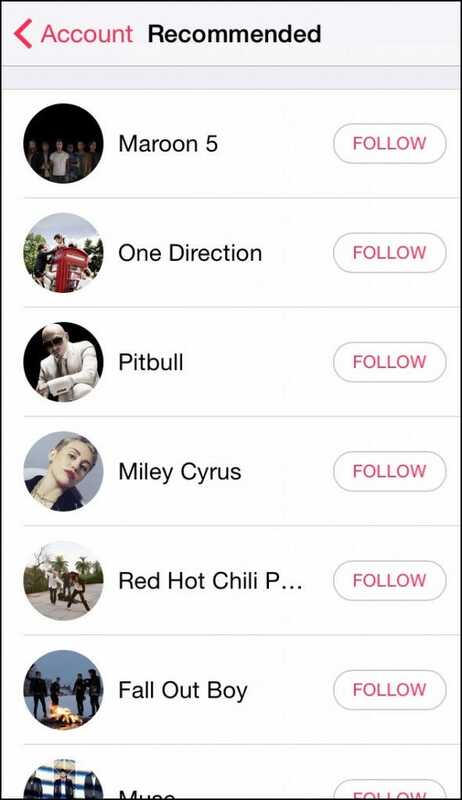 Connect is an improvement on Follow in almost every way, faulted only for the fact that it’s the first thing you’ll see if click on an artist from search and they have it enabled (instead of their actual music). Both Spotify and Apple Music made the same deal with the record companies, and because neither are interested in stepping outside the bounds of copyright law, both have a nearly identical library of 30 million+ songs from all the same artists as the other. Apple has promised its service would feature exclusive albums from a select few artists such as Taylor Swift, though it’s still too early to say whether there will actually be enough added content to justify the switch. 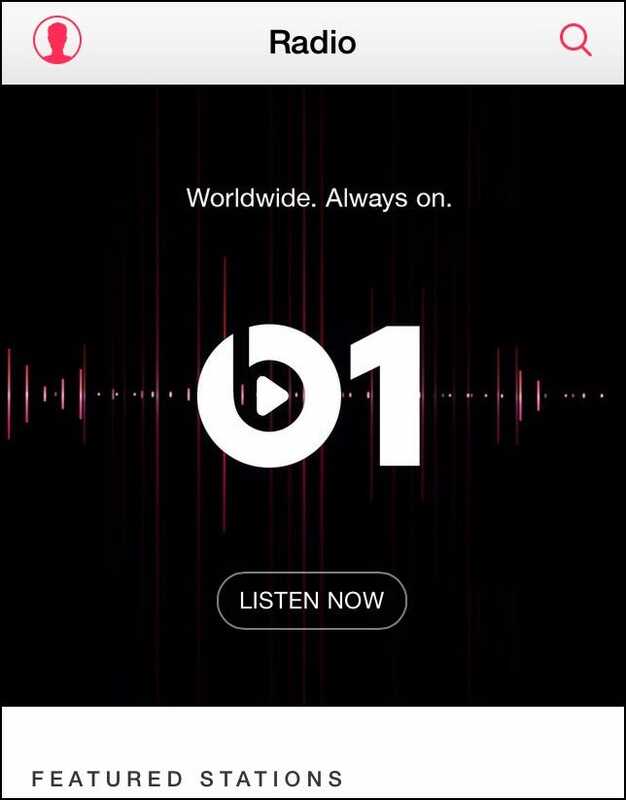 If you watched Apple’s Music keynote earlier this month, you’ll know the company has also debuted one major addition that’s exclusive to its service alone: real, live radio. Instead of simply selecting a series of songs to listen to, Beats 1 Radio will feature actual DJs, in-studio interviews, and all the bonuses you’d expect from a full-fledged radio station in your car. 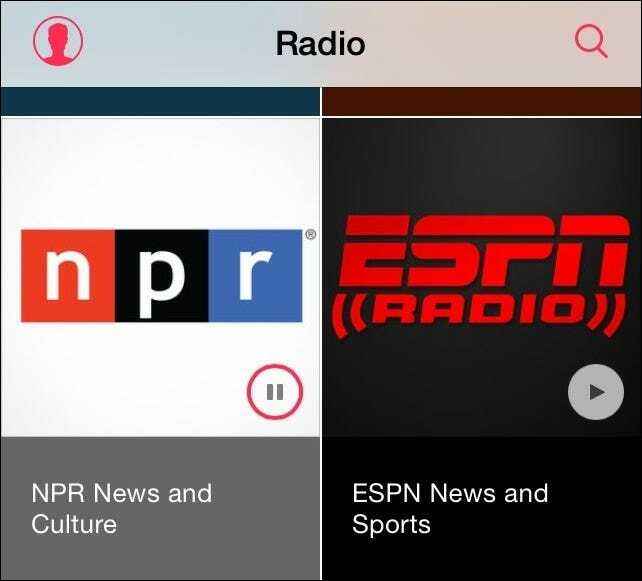 Combine this with NPR and ESPN Radio, and Apple’s already got themselves a nice head start into the live market over their competition. 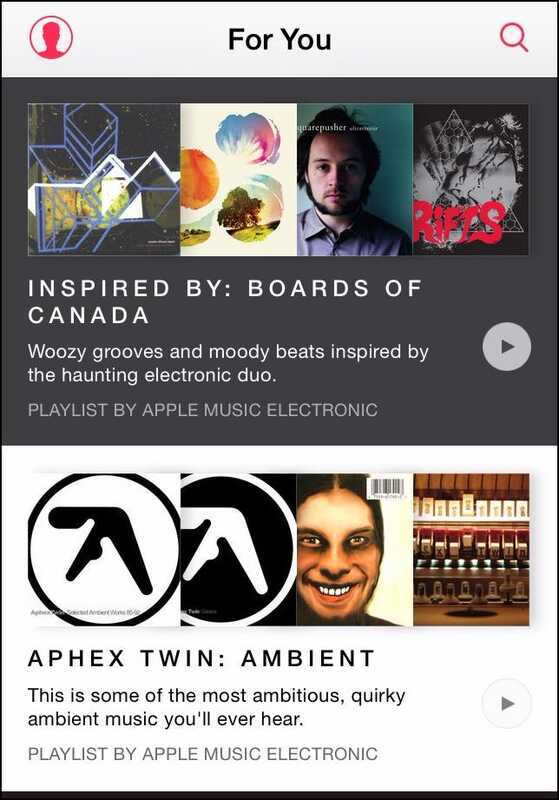 Aside from these choice picks, though, most of what you’ll find on Apple Music has already existed on Spotify for years now. 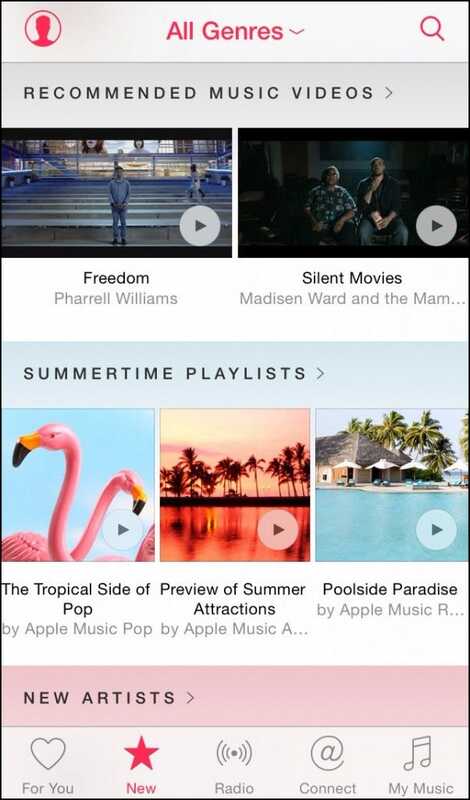 Sections in Music like “Staff Picks” “Mood Playlists” “Content Curators” are all long-term staples of the Spotify brand, but Apple does the feature justice by making the music easy to sort through, and even easier to save to an outside playlist of your own design. 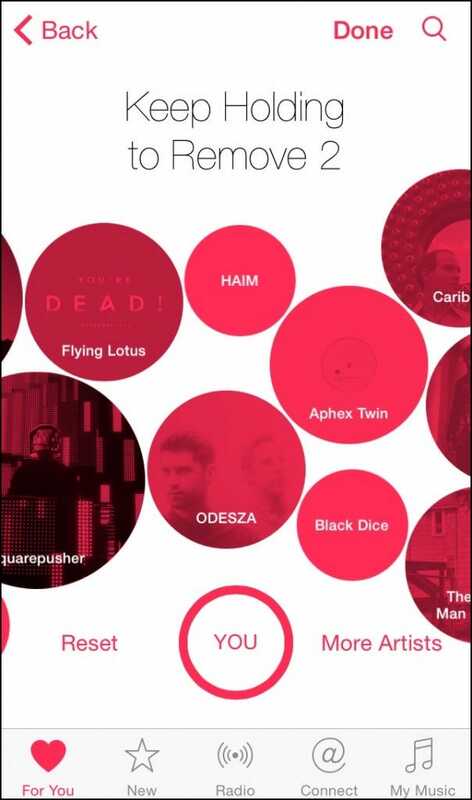 “For You” is essentially a glorified “Discover” panel in Spotify, and both feature a rich set of suggested playlists that are generated based on the artists you’ve liked or listened to previously. 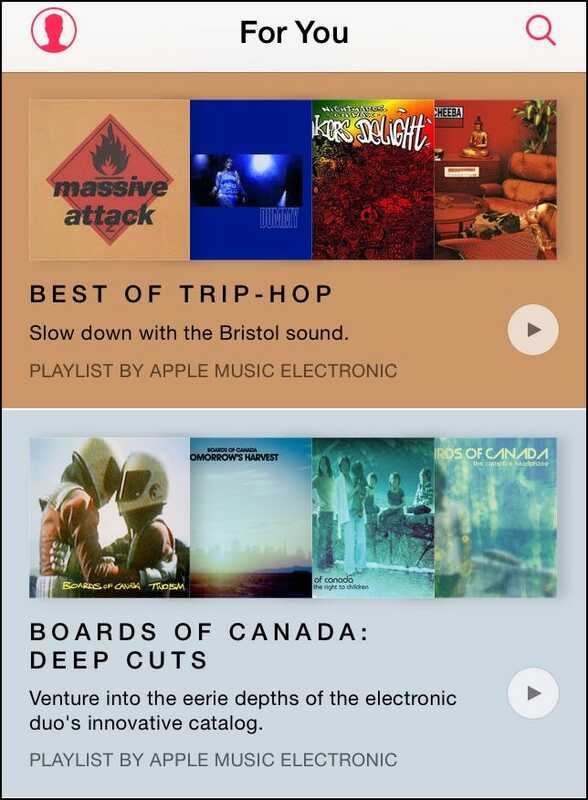 Here you can listen to all kinds of music that you might not ever find on your own, some put together by real humans at the Apple Music team, while the rest is procedurally calculated the more often you use the app. Apple knows they’re late to the streaming game, and to make up for their lag in getting to the front of the pack, they’re offering a free three month subscription to anyone who wants to sign up for the service. Spotify has responded in kind, however, by giving new users the opportunity to sign up for three months of its own premium service for just $0.99 cents. The move is an obvious jab at Apple’s plan, but either way you still end up getting a huge discount if you plan to keep the account active over the next year. As far as user coverage is concerned, Apple is the clear winner with 100+ countries signed up and counting. Not all songs will be available in all regions, but considering that Spotify has only crested at about half as many markets (58), you should be sure to check the company’s websites and TOS to verify whether or not you’ll have listening privileges before dropping any debit cards on a month of service. Speaking of which; if at any time you decide you don’t want to renew after your first three months are up, you can cancel your subscription by entering the Account tab (top right portrait). 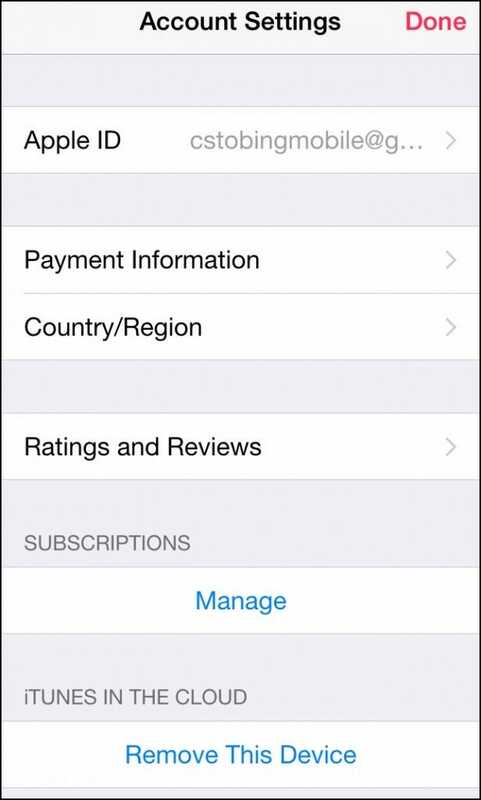 Select the “Apple ID” option, and in Account Settings you’ll see the Manage option about three rows down. 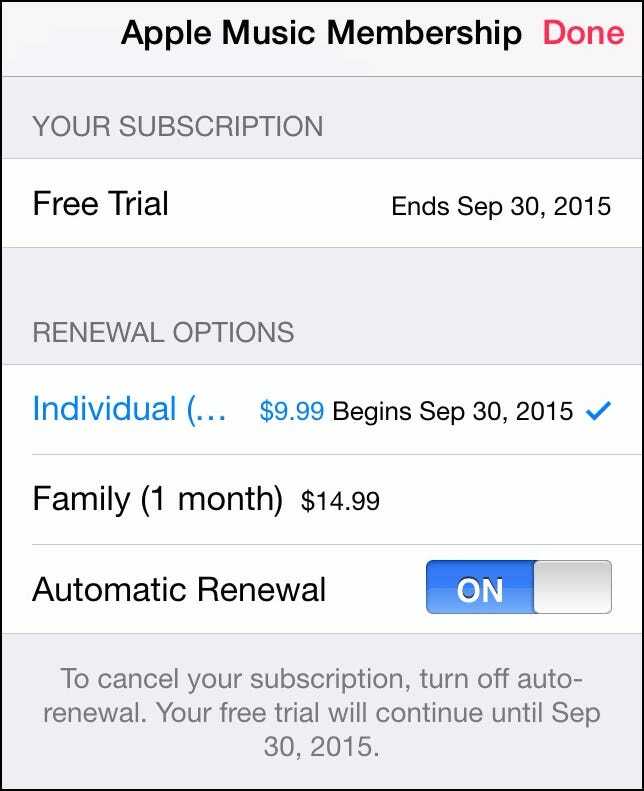 Flip the “Automatic Renewal” toggle from on to off, and your account won’t be debited after the 90-day trial expires. 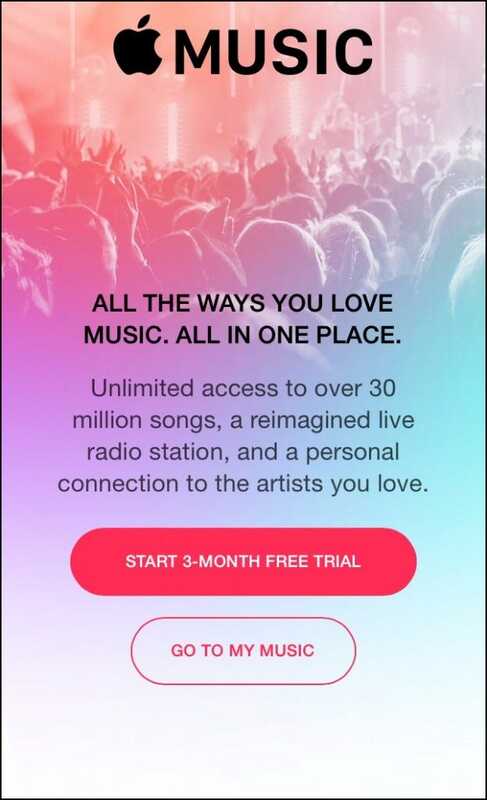 Apple Music may not be taking a revolutionary step in the world of online streaming services, but it still gives new subscribers enough fresh features and plentiful radio offerings to give the likes of Spotify and Tidal a run for their money. As with those services, for $9.99 you won’t find a better deal to get all your favorite artists streamed straight to your phone from wherever you are in the world.